To create the Brut collection, the famous German designer Konstantin Grcic used one of the oldest ferrous metal forming techniques: cast iron. Cast iron has an almost archaic material presence, taking us back to the heart of the industrial revolution. Used in Victorian garden furniture or for bridge construction since the early 18th century, it’s both heavy and sturdy. This round garden table is an expressive piece that mixes noble materials and recalls the small bistro-style tables. 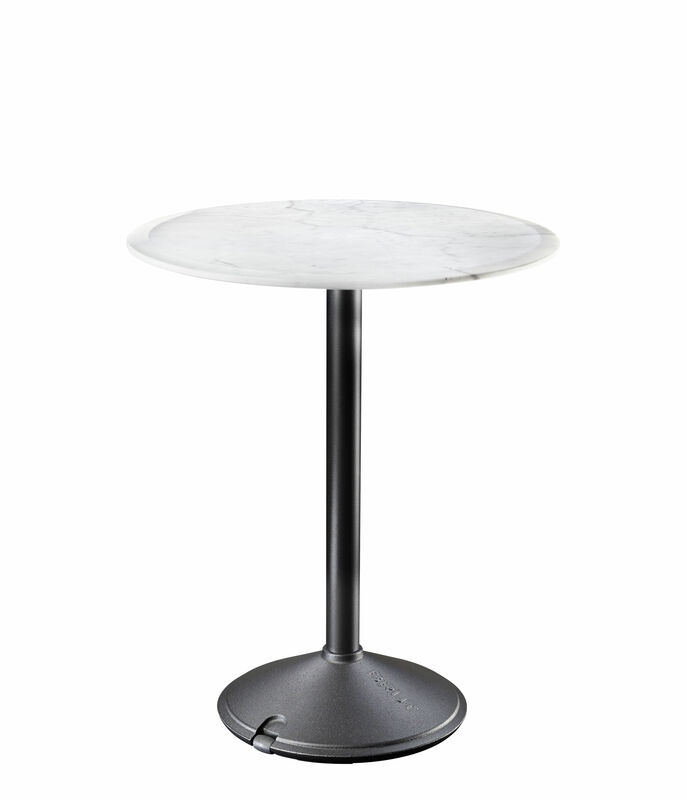 The black cast iron base is simple and elegant, showing off the refined, classic white Carrara marble top. It’s made with great finesse (12 mm thick) and brings a touch of lightness to the whole thing. This Brut table is suitable for outdoor use. Ideal on a terrace or in a kitchen, it’s perfect and practical for everyday use.